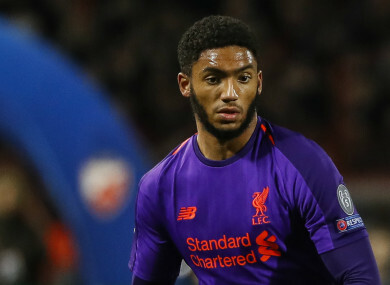 Jurgen Klopp says long-term absentee Joe Gomez is in line to make a return to the starting XI. “He is getting better and better,” Klopp said at Tuesday’s pre-match news conference. “Whether he’s ready to play 90 minutes from the start in a Champions League game, I’m not so sure. Can he come on and do a great job? I would say yes, that is possible, and that’s the most important thing for us. Porto boss Sergio Conceicao saw enough to claim are Liverpool are “sometimes” the best team in the world, a label Klopp hopes to do justice. “Sometimes we are really good. Hopefully we can show it again,” the German said. “There are moments before we win the ball or after we win the ball when the boys look really, really good. Email “Liverpool could be handed timely boost against Porto”. Feedback on “Liverpool could be handed timely boost against Porto”.